TURIN, Italy -- Do General Motors and Ford still need to compete in Europe -- building and selling cars in a market that has shifted from low growth/low margin to no growth/no margin? Why keep losing money here when China is expected to become a 30-million-unit market by 2020 and U.S. new-car sales are poised to return to 16 million a year much sooner than expected? It's not such a crazy question, given that GM effectively would have pulled out of Europe if it had sold Opel/Vauxhall to Magna International in 2009. Chevrolet would have remained, but it's a nonfactor in sales and has no European plants. Max Warburton, senior analyst at Bernstein Research in London, thinks that it would make sense for GM and Ford to end sales and production in Europe because making money on cars is a lost cause. "VW is too strong and the others aren't giving up anytime soon," he says. "In fact, the French and Italians have more political impediments to exiting than Ford and GM." Warburton says that he can envision Europe "as no more than an engineering center one day for GM and Ford." Arndt Ellinghorst, head of Automotive Research at Credit Suisse in London, says, "Ford and GM need their European engineering resources." He considers these resources as the backbone for Ford's and GM's innovation and compliance with future emission standards. At the same time, Ellinghorst says, "The question is, how Ford and GM can stop the bleeding from selling cars in Europe." Like nearly all mass-market competitors in Europe, GM and Ford are losing money there because the region's debt crisis is pushing up unemployment rates, ruining consumer confidence and keeping people from visiting showrooms. The cars sold usually include profit-destroying discounts. Ford's Craiova, Romania, plant starts assembling the B-Max this summer, coming on line at a terrible time. Ford hopes to limit its full-year loss in Europe to $500 million to $600 million, compared with a $27 million loss in Europe last year. GM Europe, which includes Opel/Vauxhall as well as South Korea-built Chevrolets, has not provided a full-year outlook. In the first quarter, GM reported a $256 million operating loss in Europe. During the first three months of 2011, GM Europe had a $7 million profit. Ford and GM are major players in Europe -- they rank in the top five in car sales -- but each faces very different challenges. 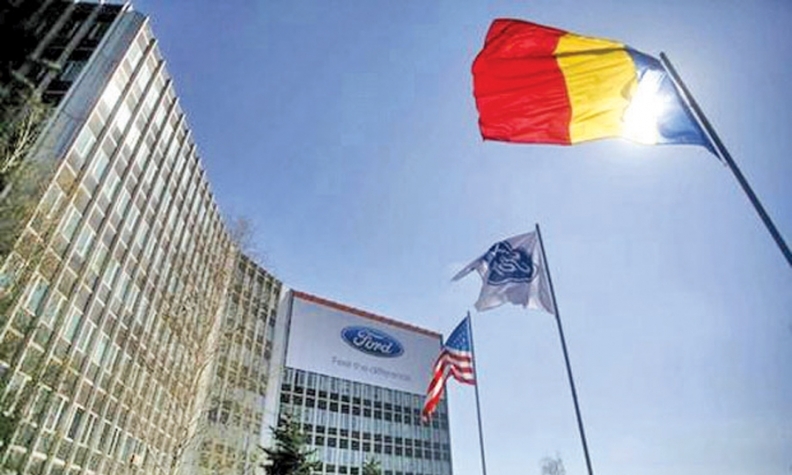 Ford of Europe underwent a radical restructuring a decade ago and its European operations have been profitable for six of the past eight years. Still, Ford was short on capacity when the European market peaked in 2007 at nearly 16 million units. To add capacity, the company bought an unused Daewoo plant in Craiova, Romania, in 2008. The factory is starting production of the B-Max small minivan this summer, coming on line at a terrible time. Car sales in Europe are expected to drop to about 12.5 million units this year, almost 22 percent below the 2007 peak. If Ford had known in 2008 that Europe's sales would slump so badly, it probably would not have bought the plant. Now it has as many as 300,000 additional units of capacity to fill. To cope with the sales slump, Ford is cutting output at plants in Germany and Belgium. The move is expected to reduce its second-quarter European production by 65,000 units, or about 15 percent. Ford of Europe's Stephen Odell: Regardless of the market, making a profit is his job. 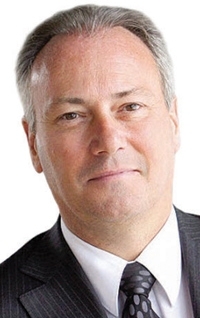 Ford of Europe CEO Stephen Odell has not ruled out closing factories if European car sales continue to weaken. "It is my job to be profitable at whatever level the market is at," Odell recently told Bloomberg. Europe has been a chronic problem for GM. Since 1999, GM has lost more than $16 billion in the region, including a $747 million operating loss in 2011. In February, GM formed an alliance with PSA Peugeot Citroen that the partners hope will slash procurement and new-model development costs in Europe. Those savings won't come for years, which is why GM is planning a second major restructuring of Opel/Vauxhall in two years. Opel's last shake-up cut 8,300 jobs in Europe, including the closure of a factory in Antwerp, Belgium. "I don't want to lead anybody to believe there's any bright spot in Europe right now, although I will say it does look like things appear to be bottoming," Steve Girsky, GM vice chairman, told analysts in April. "They are bad, the comparisons are bad; we're not sure they're getting any incrementally worse." But GM downplayed expectations that it was preparing a big-bang announcement on plans to cut jobs or close plants in Europe, which its agreements with unions prohibit it from doing before 2014. "You're going to see head count coming out on a continual basis," GM CFO Dan Ammann said in recent call with analysts. "There's a fixation on plant closings and so on, but those take time and are challenging, as demonstrated across the industry." 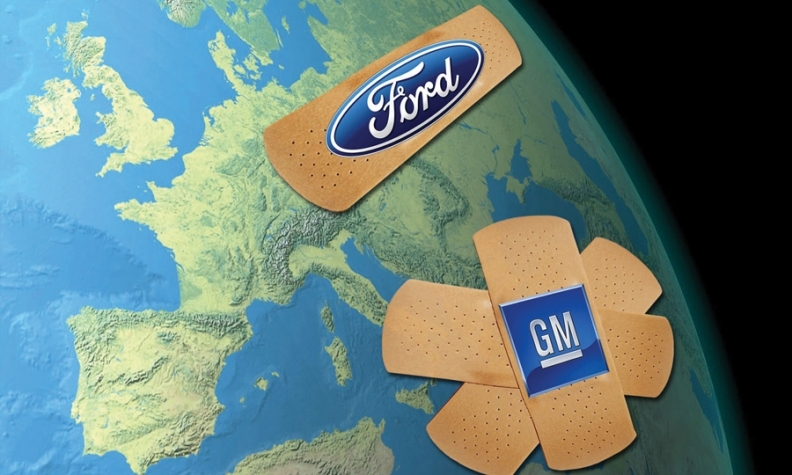 The bottom line is that Europe is the biggest trouble spot in GM's and Ford's global empires and could prevent both from sustaining their success. For decades, the automaker mantra has been "build where you sell." But if there is not enough of a market to build cars profitably, then drastic steps must be taken.